The 7311 AccuMold® Compact Light Holder features a full flap with exclusive Roll Top™ lid which helps secure the light in position. Designed to accommodate most compact lights, this unit can be had with either hook & loop or hidden snap enclosure. 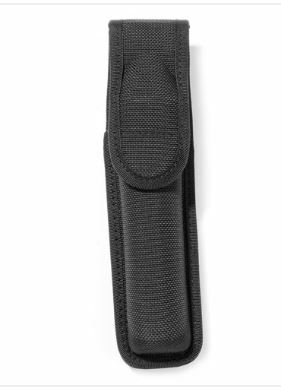 Contour molded for long lasting and precise fit, it also has a dual web belt loop to fit 2 in. (50 mm) and 2.25 in. (58 mm) belts.